Home > Tips and Advice > Homework Rewards: Are They a Good Idea? Homework rewards, or incentive systems, are controversial. From star stickers on charts to lavish material gifts, parents have different strategies when it comes to encouraging children to complete homework tasks. The best homework rewards help children to focus on their long-term success, rather than simply keeping them quiet and on task in the moment. So what sorts of rewards should be given and on what terms? We weigh up the pros and cons of a variety of incentive systems. When a deadline is creeping up and your child is feeling unmotivated to work, it can be tempting to offer a short-term reward as a quick fix. You might promise a helping of their favourite pudding if they finish their work before dinner, for example. Whilst these immediate rewards often get almost instant results, they can also prove problematic. Children may be tempted to rush homework tasks, with their mind on the reward rather than the subject matter at hand. Some children can also become dependent upon such rewards, becoming increasingly reluctant to complete homework if an incentive is not offered. Parents can be tempted to offer larger rewards over time, leading to a loss of authority. As such, these short-term, quick fix rewards are best saved for rare, special occasions, such as when a child has a deadline and feels particularly under the weather. Material rewards of toys or money are best avoided. Whilst they can give kids a clear goal to aim for and can prove an effective source of motivation when a child has a bigger project to complete, they generally cause more trouble than they are worth. Cash gifts for grades can cause friction in the classroom, especially amongst younger children, since some parents are unable to afford such incentives and many parents disagree with and choose not to give them. These gifts also encourage children to think of success in terms of material goods or money, rather than personal attainment and the satisfaction of trying your best. Offering children experiences as rewards can be an effective and positive way to encourage them to work. The best experience-based incentives are those that promote learning, health or creativity in your child. You might promise your child that you will record their favourite nature programme for later viewing if they get started on their Mathematics, for example. 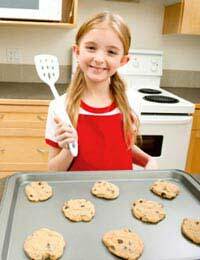 If your child will be working for several hours, offer to go on a quick bike ride with them or to help them bake some simple cookies at an appropriate midway point in their studies. These rewards are of long-term benefit, helping children to see learning and productivity as a reward in itself. They also encourage children to achieve a healthy work-life balance and to understand the importance of taking a break now and then. If you are looking for a quick fix solution to your child’s procrastination but do not want to encourage a dependency upon the immediate and the material, consider a compromise. Reward children for completing tasks that day by dishing out stickers or points on a personal chart. These stickers or points act as instant rewards in themselves but can also add up to future rewards. Ten stickers could equal a trip to the local aquarium, for example. Twenty could mean a trip to a kid’s museum and five could be swapped for a swimming session. Talk with your child about what they might like to exchange their points for, encouraging them to choose educational, active and inspiring experiences. Take steps to establish a healthy reward system that encourages your child to see education itself as something to be valued. A positive incentive system will help your child to think independently and to take responsibility for their own educational progress.